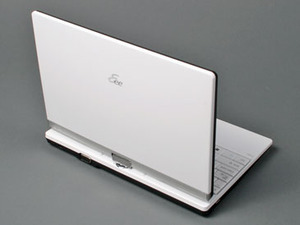 The Eee PC T91 tablet PC is the first major departure from the traditional and comprehensive range of Asus Eee PC netbooks. The first rumours of such a defice surfaced in October last year, three months before the company officially unveiled it during its CES keynote. It's still a couple of months away from release though with the expected UK availability date penned for late April. This is a little later than earlier reports, which suggested a March release date timeframe. We managed to grab some hands-on time with a pre-production Eee PC T91 sample last week and while there are a few things still subject to change, the device is mostly ready. 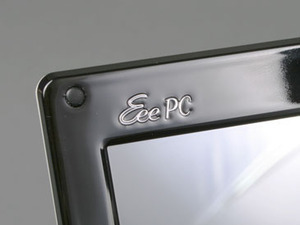 The first and most important feature on this Eee PC is its touch-sensitive display (with the typical 1,024 x 600 native resolution) which is attached to the rest of the machine via a 180-degree hinge. 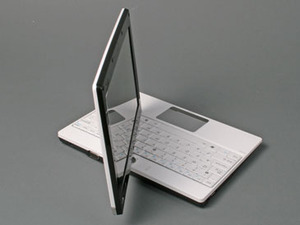 This hinge also rotates by 180 degrees and enables the T91 to transform itself from a traditional netbook into what Asus claims is the smallest and slimmest tablet PC to date when the display is folded back over the keyboard. 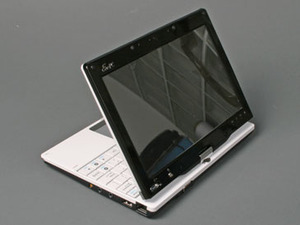 With an 8.9-inch screen diagonal like the Eee PC 900 and 901, it's smaller than a lot of the netbooks on the market today. The rest of its measurements are 225 x 164 x 25.2-28.4mm (W x D x H), which means it’s smaller than the Eee PC 900/901 and like those models, it too weighs less than 1kg with the battery attached. These measurements may be a concern for some – especially those with bigger hands – as typing can be quite cramped on the keyboard if you’re using it for long periods of time. The good news is that there's a larger 10-inch version – the T101 – on the way as well for those who feel that the T91's slender measurements are a little too lean. 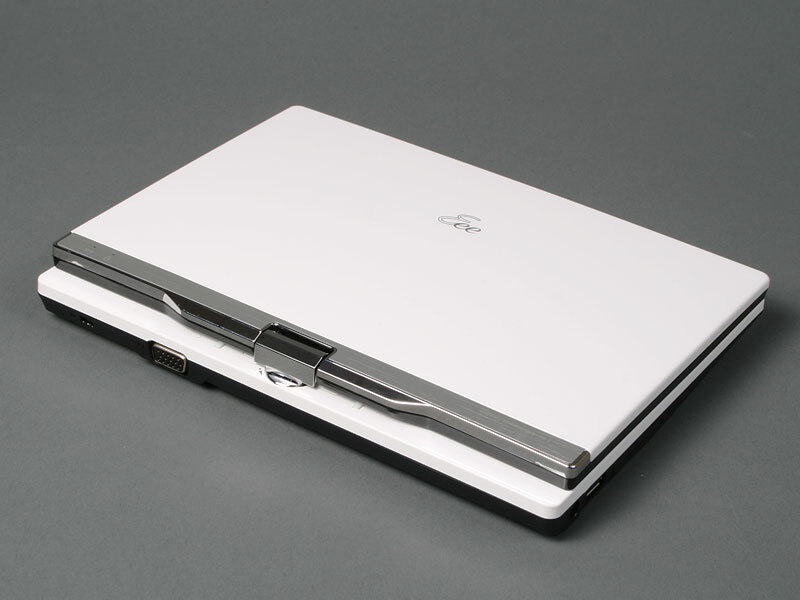 Even before opening the lid, it's clear that the T91's design is quite different to anything we've seen before in the Eee PC line up. The white finish will be familiar, as it's been around since the Eee PC 701 took the market by storm 18 months ago now; however, unlike the original Eee PC 701, the T91 has a glossy finish. This unfortunately attracts finger prints pretty easily – the worst culprit for this is the black bezel around the display. The glossy touch-sensitive display will also attract finger prints as well, but that’s a given for any device with a touch screen – the way to minimize finger prints is to use the included stylus, although the touch screen does work reasonably well with just your finger. 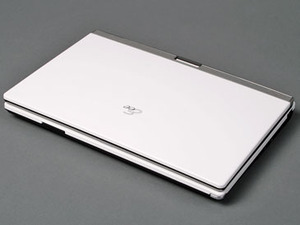 While we’ve only seen the white version of the T91, Asus tells us that there are other colour options available. These are Black, Pink, Champagne and Navy – the black will likely attract finger prints in exactly the same way as the bezel, but since we’ve not had time to look at the others, we can’t pass judgement on how receptive they are to finger printing. A photo showing front panel glass measuring 10" on the diagonal provides fuel for the rumours that Apple's upcoming tablet will be an oversized iPhone. Google to announce tablet at CES? Rumours are rife that Google is to announce a tablet device in partnership with hardware manufacturer HTC at CES - pre-empting Apple's own rumoured tablet device.